Vice President Leni Robredo on Tuesday urged Filipinos not to allow dictatorship to happen again, as she expressed alarm over recent “disturbing events” that she said seem to undermine the rule of law. Robredo gave the statement less than a week after the controversial burial of the late President Ferdinand Marcos, which sparked indignation rallies across Metro Manila last Friday. Robredo defeated Marcos’ son, former Sen. Ferdinand “Bongbong” Marcos, by a slim margin in the May 2016 elections, prompting the younger Marcos to file an electoral protest against her. The protest is still pending with the Presidential Electoral Tribunal. “In light of recent disturbing events ladies and gentlemen, I long to speak to our business community, as well as the rest of our beautiful nation, about homegrown values that I fear may be becoming scant in our society, things like honesty, justice, and the rule of law. Values that turn us to considerate, fair and kind human beings,” she said. She also criticized “tasteless” statements made against women. “We bear witness to the many ways women are undermined, cat-calling, sexual abuse, even glass ceilings in the workplace. 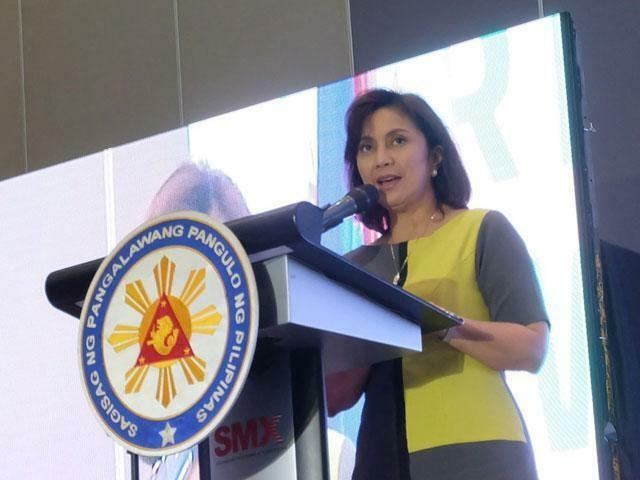 Often we are reduced to our bodies and this is unacceptable,” Robredo said. “Tasteless remarks, inappropriate advances against women should have no place in our society,” she added.